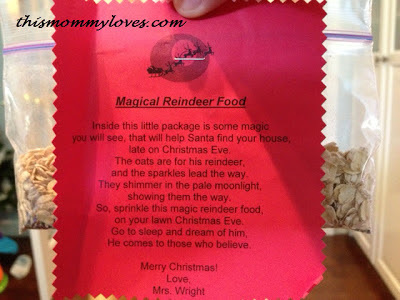 My daughter came home from preschool very excited to sprinkle reindeer food in our lawn. 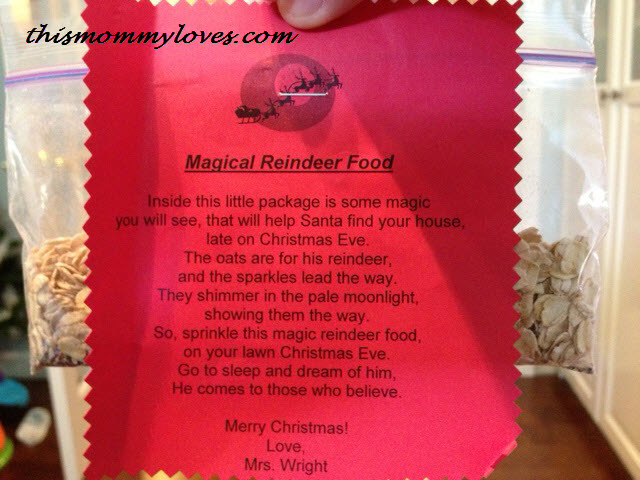 And here's a couple special touches we do for Christmas morning as proof that Santa exists. 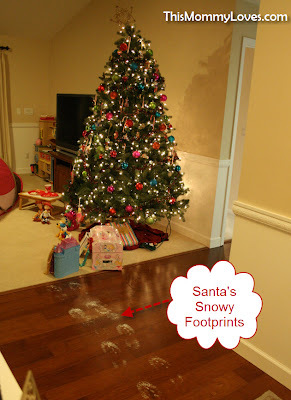 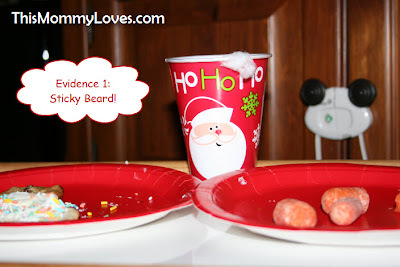 It's weird how Santa's snowy footprints smell just like baby powder! 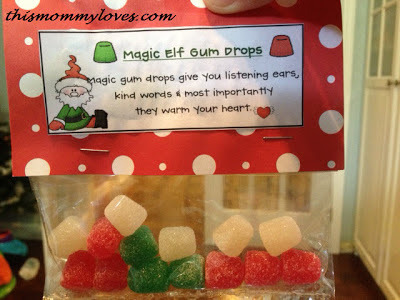 And lastly, my friend Kendall, gave me these cute little Magic Elf Gum Drops which work wonders if you need to get a quiet moment from the kids in a hurry.